Family owned and operated for more than 45 years, Palatine Heating & Cooling Company specializes in serving the Northwest Chicago land area’s heating and cooling needs. 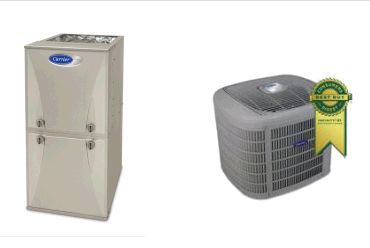 We can help you with: air conditioners, electric air cleaners, furnaces, humidifiers and more. Our expert technicians are highly skilled, prompt, courteous and professional. We’ll get it working right the first time, every time, and get the temperature in your home or office just to your liking once more. Palatine Heating & Cooling Company in Palatine, IL works on gas and electric HVAC systems for residential clients. 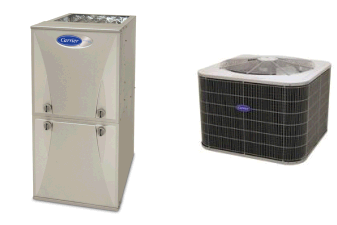 We use Carrier brand products for new installations, so you know you’re getting a quality piece of equipment. Whether it’s a remodeling job or new construction, we have the solution to your heating and cooling needs. Receive a $25 gift card for referrals. Tell your family, friends, neighbors and co-workers about Palatine Heating & Cooling Company. Refer someone to us and if they purchase and have Palatine Heating & Cooling Company install a new furnace and/or A/C unit, we will thank you by giving you a $25 gift card. Just have your referral tell us your name before the job is complete and we will give you a $25 gift card. It’s that easy! No limit. Refer as many people as you would like. Gift cards are payable at the end of each month.